Use only the best regional ingredients in season and keep it simple. The best in Provençal cuisine, FRESH FROM THE LOCAL MARKET IS PREPARED DAILY by our chef-in-residence. During The Photography Master Retreat, the chef lives and cooks on the premises, buying only fresh produce from the local markets, and cooking for us as if we were their extended family. Everything is served on Provençal linens and dishes on the big terrace. Add local wines, and it’s an experience ripped straight from a Provençal cookbook. Our fine chef turns every meal into an experience. Caroline worked in the movie industry and as a potter before becoming a chef. Caroline is a true cook of the Mediterranean. That’s exactly what I wanted: regional cuisine, as if it were made by my grandmother with all its tenderness and long savoir-faire of recipes, simmered as only a family cook can do. International chef Marc Dussaud is a graduate of the Mediterranean High School in La Ciotat, in the south of France. His boundless creativity has inspired him to work in some of the best Three Star hotels and restaurants in France: Le Mas des Vignes in the famous Le Domaine de Frégate Hotel, Le Château de Sanse, and L’Hôtel de la Mer. He also worked at L’Auberge Gargamelle which is known for its mountain specialties cooked on a wood fire. Though Marc is originally from Toulon, these days he is passionately exploring Mediterranean cuisine, handling it with his signature elegance. He revels in the marriage of textures, flavors and colors that is fusion cuisine, à la française! 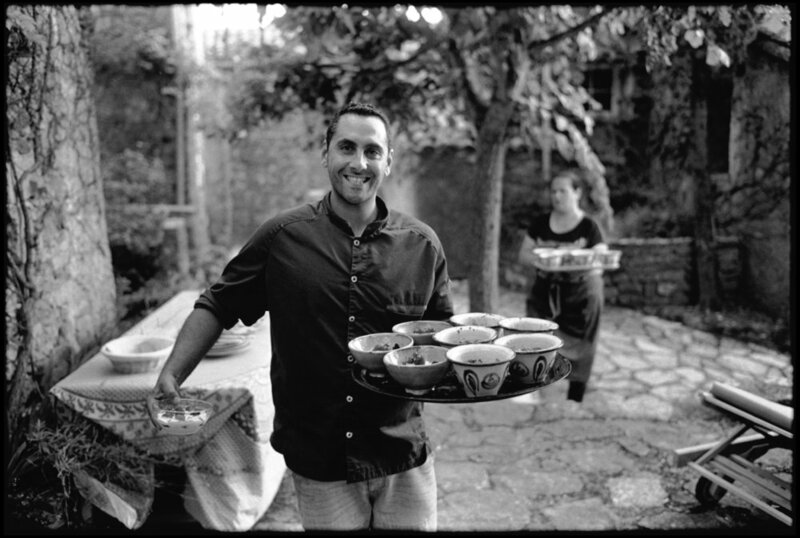 Laurent Maire is a member of the Slow Food movement in the South of France and a zen practitioner. He has a refined original style, which consists of healthy dishes made with seasonal and organic local produce. Laurent has professional experience in prestigious international establishments such as Le Capucin Gourmand, France (Two Michelin Stars) and Le Grand Hôtel des Bains in Switzerland (Four Star Luxury Hotel). He was accompanied to The Photography Master Retreat by Isabelle Frère, a wine expert.